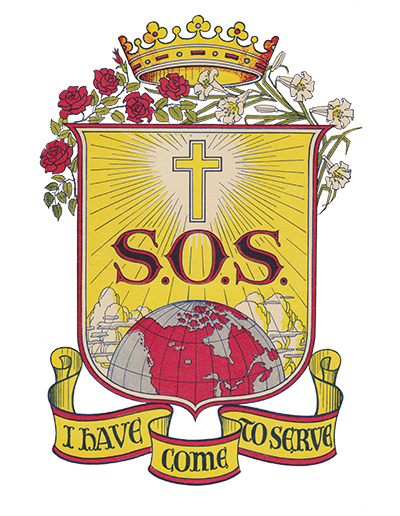 At the invitation of the Rosary Hall Association, the Sisters of Service assumed the ownership and its social work in October 1931. 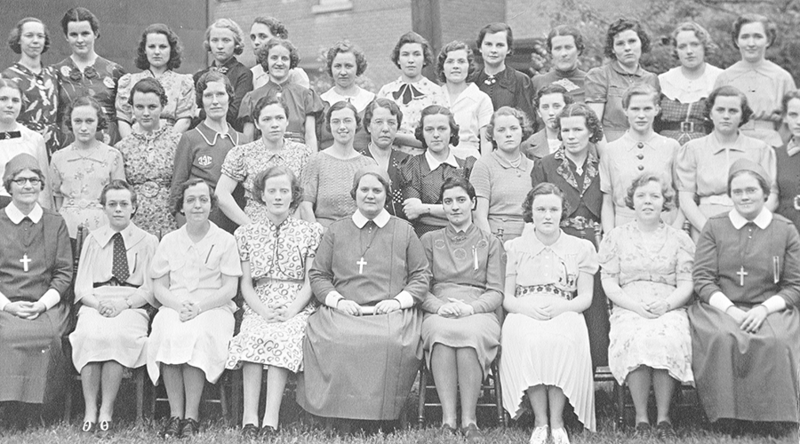 Founded in 1919, the association raised $25,000 to build an addition to Rosary Hall to accommodate 50 young women. 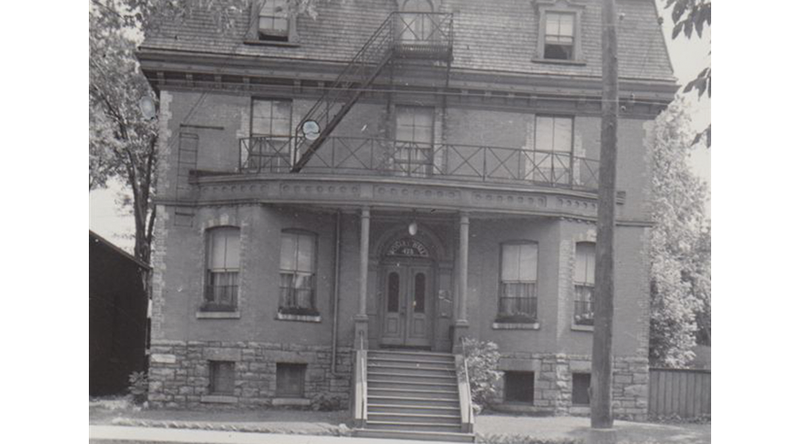 The house at 478 Albert Street in downtown Ottawa was built by Thomas Seaton Scott, the first Dominion Architect. Rosary Hall provided a temporary home for women seeking employment in the city or convalescing after sickness. 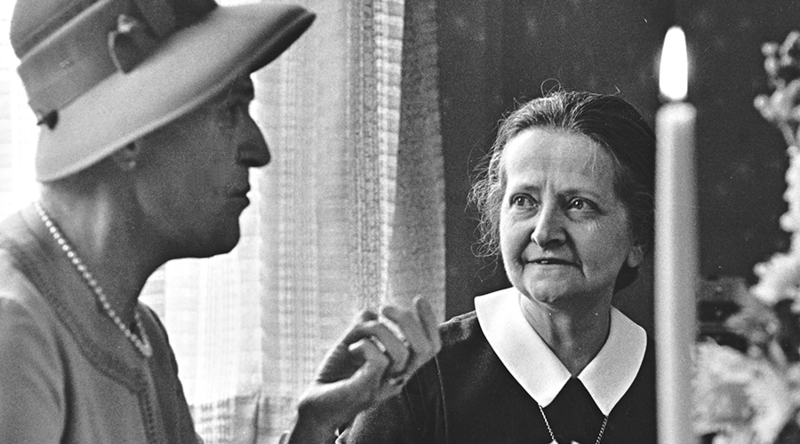 Under the Sisters of Service, the residence continued to provide a home-like atmosphere for young women from the local area as well as for immigrant women. St. Anthony’s Club, a social club at the residence, provided a meeting place for immigrants working as domestics, where they participated in sports, crafts, social and religious activities. The residence also offered an employment service. 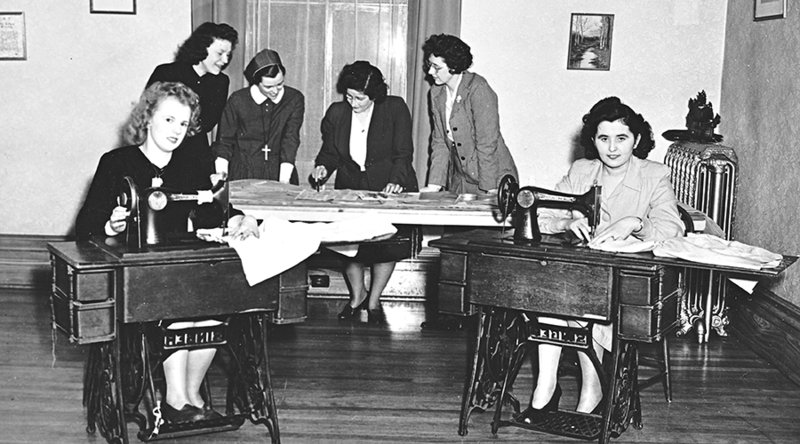 At the outbreak of the Second World War, immigration ceased and women from all parts of Canada flocked to Ottawa for employment. 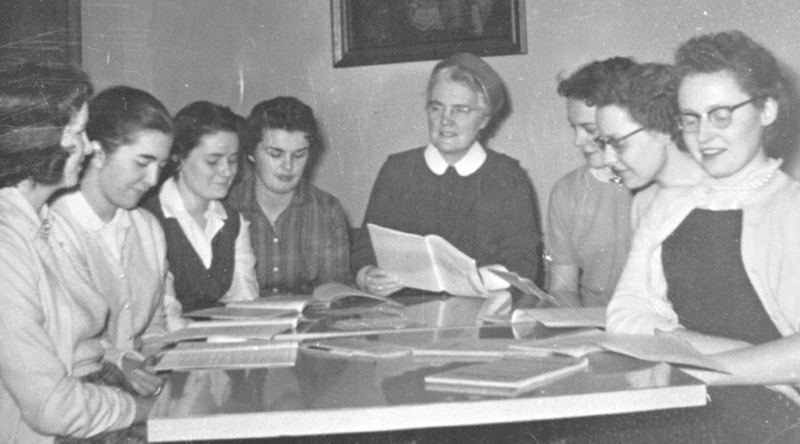 Sister Nora Fitzpatrick was a member of the staff of the Ottawa Housing registry, which found accommodation for women war workers in Ottawa. She looked after the interests of English-speaking Catholics. 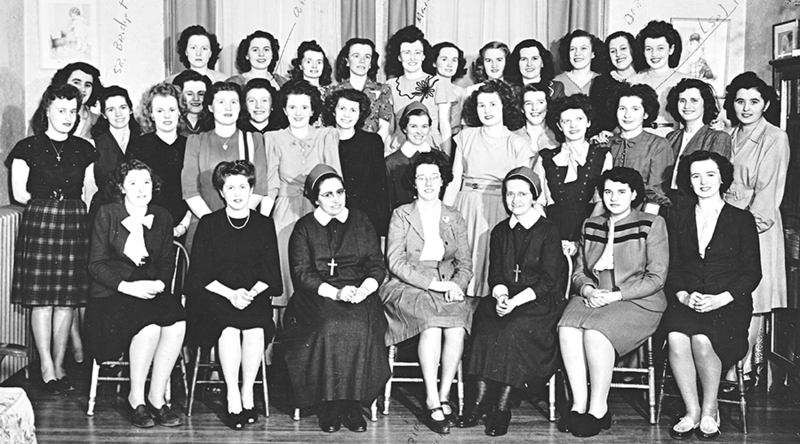 In the years following the war, Rosary Hall continued services to young women 17 to 21 years of age, who have come to Ottawa to work and to study in short courses. 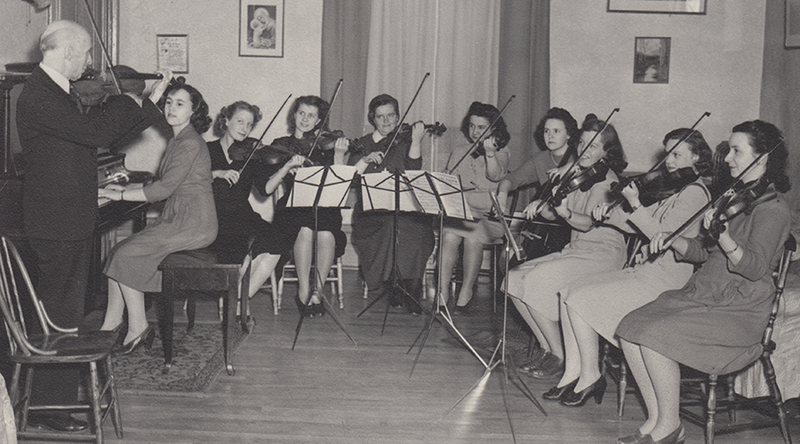 In May 1966, Madame Pauline Vanier, wife of the Governor General, visited the residence to attend the annual tea of the Catholic Women’s League in Ottawa for the benefit of Rosary Hall. The residence was closed in August 1968. Sister Zink held a series of positions in Ottawa. 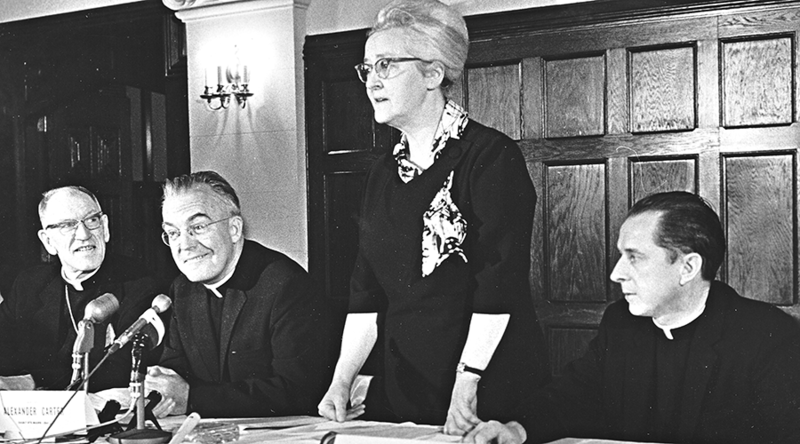 A member of the permanent secretariat office of the Canadian Religious Conference (CRC), she served as its general secretary (1965-1968) and as its public relations director (English section, 1967-1973). For the Catholic Hospital Association of Canada (1973-1975), she was assistant executive director for public relations and publications. At the YMCA and YWCA as the public relations officer (1975-1980), she broke new ground as a vowed religious Sister working for a non-religious organization. During her years in Ottawa, she also was a member of the publicity committee of the Social Planning Council of Ottawa-Carleton and a board member of the Catholic Family Services of Ottawa. In 1980-1982, Sr. Zink served as chair of the Canadian Public Relations Society of Canada. As chief examiner of the society (1973-1987), she headed a board, which approved the accreditation of public relations practitioners. She received an award of merit from the society. Sister Mary Ellen Francoeur with a doctorate in clinical psychology and training in spiritual direction, conducted a clinical practice. Deeply involved in the peace movement, she became the national president of Religions for Peace Canada as well as many social justice projects.